This camp is beautifully built out of stone. 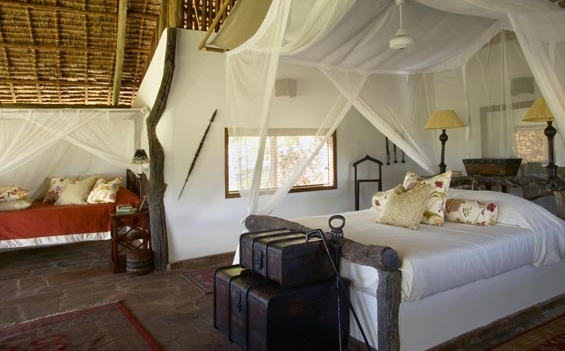 Each banda is very spacious, equipped with its own bathroom, shower and veranda. The popular Selous hot spring are not far from here!